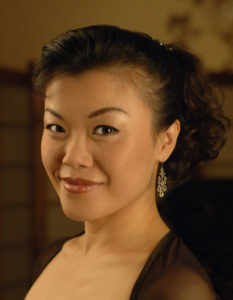 AREAWIDE — In February, Musical Masterworks will shine a light on the relationship between Schumann and Brahms, as the elegant soprano Hyunah Yu returns to sing Schumann’s transporting song cycle Frauenliebe und -leben. Also, as part of a new Musical Masterworks venture, join Edward Arron one hour before the February concerts for an in-depth pre-concert talk about the lives and compositions of Robert Schumann and Johannes Brahms. The February performances are Saturday, Feb. 11, at 5 p.m. and Sunday, Feb. 12, at 3 p.m. at The First Congregational Church of Old Lyme, an acoustically rich and beautiful venue for chamber music.